We’re going to learn how you can integrate simple video call and voice chat functionality in your website with WebRTC, Socket.IO & Node.js. WebRTC (Web Real-Time Communications) is an open source project which enables real-time communication of audio, video and data in Web and native apps. And we’ll use Socket.IO and Node.js development services for setting up signaling server. Alright, so with this basic understanding and requirements in place, let’s get started with the integration process. Now, here we can create the file signaler.js which will hold the code for the signaling server. For instance, the “connection” event, which returns a socket object that is passed to the callback function. By using this socket object, you can send and receive any events you want, with any data you want. Such emitted events can be captured by the Socket.IO client(s) respectively. You may check out this emit-cheatsheet, for emitting events as required in your application. In following code snippet, we’ve included some basic setup for the simple chat functionality, to exchange events/messages as briefed in the comments. As in the above code, we’ve subscribed the socket to a specified channel using join() method. onlineUsers array will hold the data for currently online users, which is updated whenever a client is connected/disconnected, and subsequently broadcasting the event – ‘onlineUsers’ – listening to which, the respective client(s) can be updated about the online presence of the user who has connected/disconnected. Which will be utilized for communicating with a specific user having his/her own unique room. Now that we have our signaler up and running, let’s integrate Socket.IO on the client side. For this chat functionality, we’ve used code from WebRTC Experiments & Demos – written by Muaz Khan, and made some customizations as per requirements. socket.io.js: Socket.IO client library that loads on the browser side. adapter-latest.js: A library which ensures interoperability across different browser implementations of WebRTC. 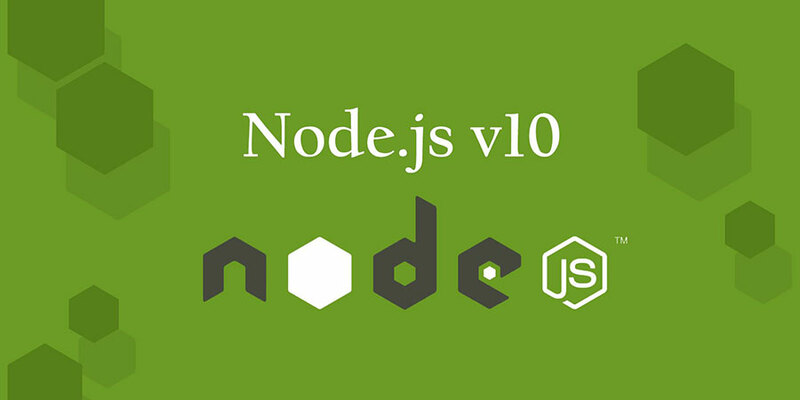 NodeJS developers can write the code for handling client-side user interactions and to establish the signaler-connection which will eventually receive all the updates from the server without refreshing the page. In the above code, firstly, we’ve established a signaler-connection, and instantiated socket. Then we’ve several listeners which are triggered whenever the socket is connected/disconnected. On socket connection, we’ve emitted join event so as to subscribe the socket to the logged-in user’s channel. Through this code, we can keep track of online presence of all the users, on both client and server side, and display other users’ status on the client side. If you open several tabs, it will print several messages for each new client connected. With some supplementary code and utilizing the events for online presence and messaging, you can display the online/offline status of other clients, send/receive messages to/from online clients and so on. In order to get video & voice from your webcam, we need to call navigator.getUserMedia() method. When this method is called, the browser will request the user for permission to access the Camera/Microphone (if this is the first time Camera/Microphone access has been requested for the current origin). Once the user allows access, a MediaStream is returned, which can be used by a media element via the src/mozSrcObject attribute, to render the media stream on the client side. Once the stream has been added, we’ve created respective HTML element which will be rendered on the client side. Or if there’s any issue in capturing the stream, we can inform the user about the same. RTCPeerConnection is an API for making WebRTC calls to stream video and audio, and exchange data. As in the included script by Muaz Khan – PeerConnection.js – it sets up a connection between two RTCPeerConnection objects which are known as peers. In the above code, first off, we have instantiated a PeerConnection object – peer, and then we’ve set up its methods with setPeerMethod(peer). peer.onUserFound is triggered whenever a client is receiving a call, so from here, we can prompt the user about the incoming call and let the user Answer/Decline the call. Using addVideo()/addAudio(), we can render the media stream on the client side for caller and callee, consequently. Moreover, we can also display call timer and stop broadcasting outgoing call from caller’s end. In the following code snippet, we’ve included some of the updated code as in PeerConnection.js, in order to make it work for both video call & voice call and to stop the media stream. // if someone is broadcasting himself! As you might have understood in the above code, here we have managed message broadcast, media streaming and UI for an Outgoing call and when the call is ended. Subsequently started broadcasting the message for the outgoing call to the respective callee. As you would have guessed, this broadcasted message (i.e. call) will be received by the respective callee, through peer.onUserFound, and rest can be followed up as described therein. And that’s what there is to it. Taking it to the next level, you can handle UI/UX for the even better experience by some fine tuning to ensure smooth flow across all the call-states, for multiple users, texting during ongoing video/voice call, engaged-tone and so on as per requirements. Congratulations! You have successfully integrated video/voice chat functionality in your project, which enables users to do real-time video/voice streaming and data exchange. Here, you learned how you can integrate simple video call and voice chat functionality in your website and how to use the core WebRTC APIs and set up a messaging server using Socket.IO and Node.js. Henceforth, you can explore more call applications including browser notifications, text messaging, screen sharing, group calls etc.